Broaden your perspective with the HUAWEI P30 lite's 120° Ultra-Wide Angle lens3 and capture expansive landscapes in stunning shots that leave nothing out of sight. Shoot without limits. Stylish and streamlined; the HUAWEI P30 lite fits comfortably in the palm of your hand. The slim 3D curved glass design is crafted for easy grip and one-handed use. It’s available in three colours, including an eye-catching iridescent gradient colour finish. HUAWEI P30 lite’s improved RAM and storage means there’s more room for the things you love. Enjoy greater flexibility with space for the content or files you use everyday like music, photos, videos and apps. Don’t let your battery slow you down. With HUAWEI 9V2A Quick Charge, the powerful 3340 mAh battery5 charges faster and lasts longer – letting you get on with your fast-paced life. 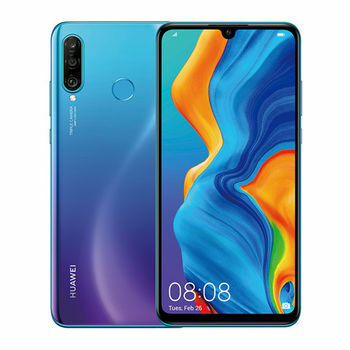 Watch videos, play games and browse all day, nothing will stop you with the HUAWEI P30 lite. Ready. Set. Play. The revolutionary graphic processing technology powered by GPU TURBO 2.0, enhances performance for a faster, smoother and more powerful gaming experience. It’s a mobile game-changer. Exploring has never been easier – or more convenient. HUAWEI’s AI-powered HiVision technology7 transforms your phone into an intelligent assistant for everyday life. Simply scan to unlock a world of possibilities. 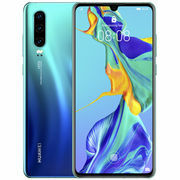 The HUAWEI P30 lite uses powerful AI technology to automatically identify and display information about objects around you such as pets, flowers and even the calorie count of food. A useful tool for the curious explorer. HiVision’s AR translation breaks down language barriers and makes travelling a breeze. Scan to translate foreign languages8 in real-time – everything from street signs to restaurant menus. You’ll be ready for anything. SEE IT. SCAN IT. SHOP IT. Shop anywhere and anytime with HiVision. Simply scan the item you want and our AI technology will find it online for a faster, more convenient shopping experience. 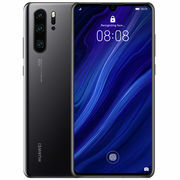 32 MP AI Selfie Superstar1 | Ultra Wide Triple Camera Beauty in Every Shot Every face is different and unique. HUAWEI’s AI-driven Selfie technology beautifies your self-portraits based on your unique face shape and type. The technology maps the contours of your features and creates a custom algorithm to ensure you always show your best side. Wider View. Wider Possibilities Broaden your perspective with the HUAWEI P30 lite's 120° Ultra-Wide Angle lens3 and capture expansive landscapes in stunning shots that leave nothing out of sight. Shoot without limits. Your Smart Camera Assistant Give your photos a boost with powerful AI scene recognition technology. The HUAWEI P30 lite front camera can identify more than 8 categories in real-time while the rear camera can recognise 22 different categories. Settings like colour, lighting and contrast are automatically adjusted to produce dazzling photos. 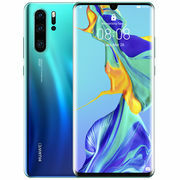 Stunning Display See, do and create more with the all-new HUAWEI P30 lite Dewdrop Display. Big, bold and beautiful, the 6.15" FHD display with a delicate Dewdrop notch is a gorgeous canvas for you to live your life in brilliant colour. Plus, the screen has TÜV Rheinland Eye Comfort Certification and is designed to be easier on the eyes for a more comfortable viewing experience. 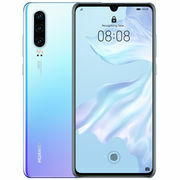 Sleek Design Stylish and streamlined; the HUAWEI P30 lite fits comfortably in the palm of your hand. The slim 3D curved glass design is crafted for easy grip and one-handed use. It’s available in three colours, including an eye-catching iridescent gradient colour finish. Room For More Available Memory: 4 GB + 128 GB HUAWEI P30 lite’s improved RAM and storage means there’s more room for the things you love. Enjoy greater flexibility with space for the content or files you use everyday like music, photos, videos and apps. A Battery that Goes the Distance Don’t let your battery slow you down. With HUAWEI 9V2A Quick Charge, the powerful 3340 mAh battery5 charges faster and lasts longer – letting you get on with your fast-paced life. Watch videos, play games and browse all day, nothing will stop you with the HUAWEI P30 lite. Level up Your Gaming Ready. Set. Play. The revolutionary graphic processing technology powered by GPU TURBO 2.0, enhances performance for a faster, smoother and more powerful gaming experience. It’s a mobile game-changer. The World at Your Fingertips Exploring has never been easier – or more convenient. HUAWEI’s AI-powered HiVision technology7 transforms your phone into an intelligent assistant for everyday life. Simply scan to unlock a world of possibilities. 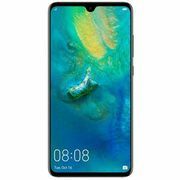 DISCOVER ON THE GO The HUAWEI P30 lite uses powerful AI technology to automatically identify and display information about objects around you such as pets, flowers and even the calorie count of food. A useful tool for the curious explorer. FEEL AT HOME ANYWHERE HiVision’s AR translation breaks down language barriers and makes travelling a breeze. Scan to translate foreign languages8 in real-time – everything from street signs to restaurant menus. You’ll be ready for anything. SEE IT. SCAN IT. SHOP IT. Shop anywhere and anytime with HiVision. Simply scan the item you want and our AI technology will find it online for a faster, more convenient shopping experience.